Sydney. Call Now for a FREE Quote! 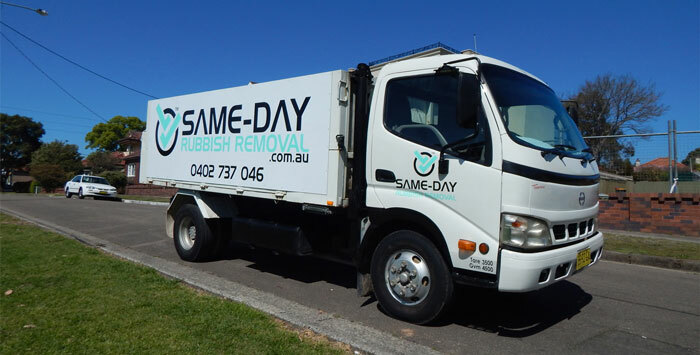 Call Same-Day Rubbish Removal to get the job done fast, and at the lowest price in Sydney. Fast, friendly and reliable, Same-Day Rubbish Removal is committed to doing the right thing by you the customer, by offering firm quotes up front and delivering on our word. What are you waiting for? We're ready to remove your rubbish, waste and junk in a flash, so you can get on with life. Call Matt now for an obligation-free quote in Sydney. We'll remove and safely dispose of your garbage in no time! Need unsightly rubbish gone fast? We service most Sydney areas and can offer same-day rubbish removal in most situations. Our rubbish removal team hand-load all your junk into our trucks and dispose of it in the most eco-friendly way possible, leaving you to sit back, relax and enjoy your clean space. When looking to dispose of anything, one of the most important factors to take into account is how much it’s going to cost. Our rubbish removal team have been servicing Sydney for well over a decade, and we’ve been able to optimise every aspect of our business. This means we deliver you the LOWEST prices along with our ‘5 star’ prompt, professional rubbish removal service. You won’t find a better price! All you need to do is phone us anytime on 0402 737 046 for an obligation free quote. A skip bin may sound like a good idea when you have a lot of garbage to dispose of - it’s almost like having the local tip in your front yard. However, despite sounding like a cheap option (who would think hiring a big metal bin would cost much? ), they’re not as cost effective as having our rubbish removal team remove your rubbish for you. There are several costs associated with skip bins: delivery, pickup, hire duration, and the actual disposal of your junk. With our hand-loaded rubbish removal service, there is only one trip which cuts out significant travel costs, there’s no hire fees, and we know where to dispose of your items in Sydney to get you the best value. What’s more, we do all the work for you, and no need to kill your front lawn! If you don’t want it, we will take it. That’s right - we can take away almost any type of junk for you from your Sydney home or business. General old/broken items, furniture, e-waste, green waste, household/business garbage, you name it. There’s never been a job too hard for our rubbish removal team as we’re always able to remove every last item from each job and leave your space looking clean and tidy. If you think you’ve got something too hard for us to remove, just give us a call and speak to our experienced team, and we’ll do our best to assist. It might seem like a boring feature of our rubbish removal service at first, but there are a number of reasons why we hand load your rubbish into our trucks. First of all, it means less work for you - with any other service (like hiring a skip bin or a trailer) you’d have to do the loading. With us, all you have to do is let our junk removal team know what needs to be disposed of. Secondly, it allows us to sort everything as we load it – we usually drop things off in different places around Sydney to either recycle or get the best deal on its disposal. Additionally, it is safer that we do this, as we can be careful not to damage property and so our customers don’t hurt themselves in the disposal process. If you call us now, your junk can be gone today! When you need anything removed fast, you can be confident that Same-Day Rubbish Removal can help. 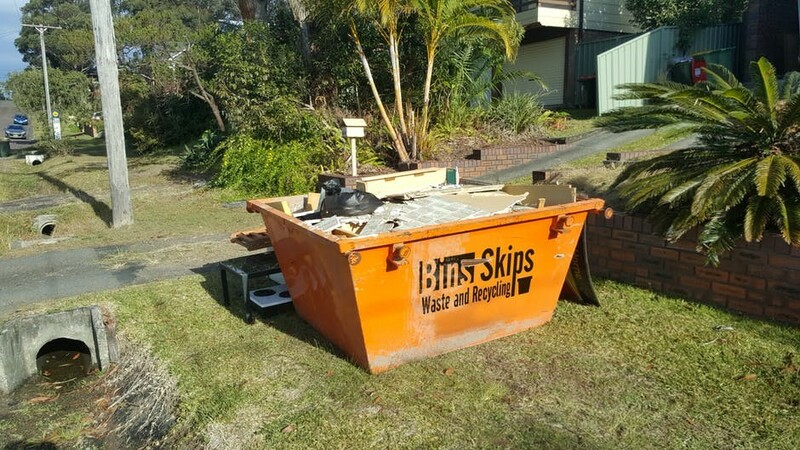 There’s no such thing as a fast skip bin service, they may be able to deliver a skip bin quickly, but it takes time (and lots of work) to load it up and have it collected. 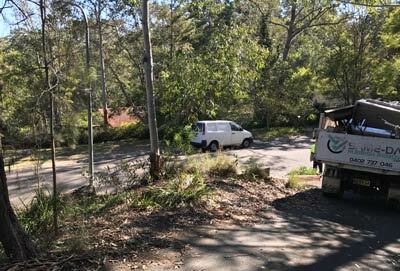 Some other companies may claim to have prompt service, but no one has the number of trucks and workers that we have, we’ve always got a rubbish removal team ready to come to you quickly in Sydney. Your place can be cleaned up in no time! The production of garbage is having a serious effect on our world, which is of great concern to our team. Being a junk removal company, one may think that we’re a part of the problem and contributing to Sydney’s trash producing habits. This is completely false, as it is one of our main aims as a rubbish removal business to reduce the impact garbage has on the environment. If you don’t have any use for your stuff, our team can take care of it for you. We know where your trash is wanted – the technology at recycling centres is becoming more and more advanced, so wherever possible, our waste removal experts will stop your trash going to landfill by taking it to the appropriate recycling facility. With everyone claiming to offer the best rubbish removal service in Sydney, it can be hard to know who’s telling the truth. If you haven’t worked with us before, you can get a fair idea of how great our rubbish removal service is by looking at our customer reviews. We always aim to leave a property with the customer 100% satisfied with our work, which is one of the main reasons our customers love us. Once we’ve cleaned up your place, we’d love it if you gave us a 5 star review too. All of our rubbish removalists are set up to be able to accept a wide range of payments, making it easy for you to pay. Cash is great as there are not processing fees for us, however, if you need to pay by credit card or EFTPOS, we’ve got the right payment processing tools to make it effortless. Everything about our rubbish removal service is easy! There are an endless number of reasons you might need to have all junk removed from your property right away. It may be that you’ve just got a new washing machine or fridge and there’s literally no room for the old one except the front curb. You may have had little warning about a home inspection and need to get rid of the piles of trash you’ve built up. Whatever the reason, Same-Day Rubbish Removal take pride in offering the fastest junk removal service in Sydney. We’ve got trucks and workers spread across Sydney, ready to come help you out, just give us a call on 0402 974 223. The number of injuries that occur due to people lifting heavy items is quite concerning. Most people don’t know how to safely lift large objects and can easily strain their back or do other significant damage to themselves in the junk removal process. Disposing of items like couches or clothes dryers can be quite difficult and dangerous to do on your own, and it can sometimes be impossible to fit larger items into your own vehicle. Even having a skip bin can be dangerous, as the sides of the bin can be quite high and it’s no easy task to lift heavy items into it. Our experienced rubbish removal team are lifting bulky items every day onto our trucks, and we know how to do it safely and efficiently. Don’t risk your back, have our team of very capable waste removal experts do everything for you. With many councils opting for smaller bins and only emptying once a fortnight, for many households, the curbside bin collection service isn’t quite enough. For starters, if you have a big family, it can easily fill up before collection time. It’s not uncommon for Sydney residents to start their own pile of garbage, and over time this can grow into a significant pile of trash, requiring a rubbish disposal service. If anything of significant size needs to be disposed of, there’s a good chance it won’t even fit. 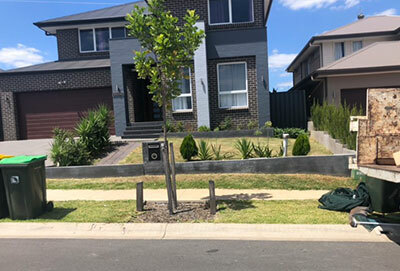 Usually our rubbish removal service is the next best option in terms of cost and convenience – call us anytime on 0402 737 046, or write our number down so it’s handy for the next time your curbside bin can’t do the job! Hoarding is more common than you may think, however, most people recognise hoarding as extreme cases where there is almost no room in a person’s house because it is filled to the ceiling with junk. It’s quite easy to hoard something and not realise just how much has been collected. Often, someone might just wake up one day and decide that they can throw it all away! 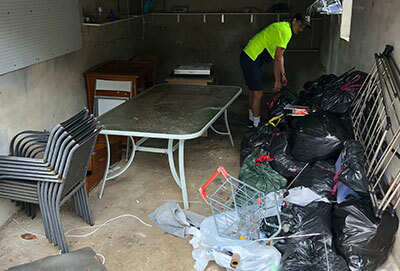 While we don’t often clean out Sydney homes that have rubbish piled to the ceilings, we’re constantly cleaning up homes that have had a build up of clutter and the owner is just trying to simplify. 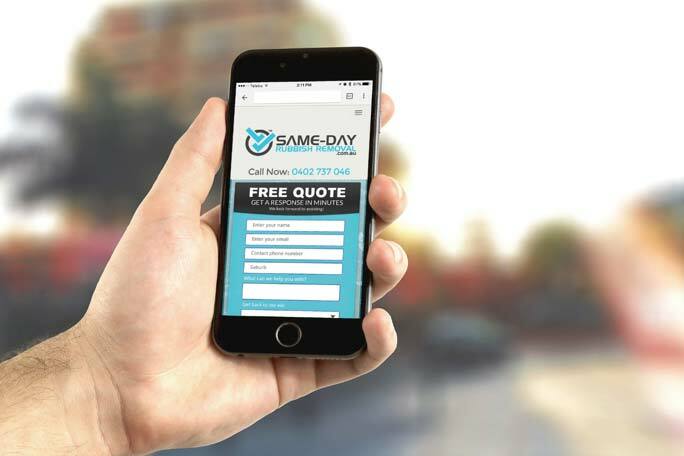 If you’re in need of a clean-up and declutter and have a heap of stuff to dispose of, call Same-Day Rubbish Removal to help you out. If you ask almost anyone what they do with items they no longer need in the house, you’ll likely hear that they retire most things to the garage. Garages are useful large spaces that can usually fit more than your car, however, for many people they’ve accumulated so much stuff that they can’t even fit their car! If you can relate, there’s a good chance you could find a heap of clutter in your garage that you will never need again. You’ll love being able to park your car inside after you have a clean-up. It’s a great idea to do so when you have the time. 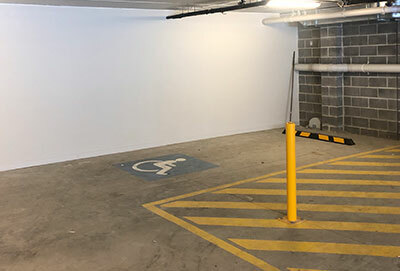 We also love helping with garage cleanouts in Sydney, as it’s usually easily accessible for our rubbish removal trucks. We can be loaded up and take away your junk in no time, we’ll just need you to tell us what to take. Shifting to a new house isn’t cheap, particularly in Sydney. Furniture removalists usually charge for the weight or volume of your items that need to be removed, so the less that you need to take, the cheaper. Additionally, you may be downsizing, or have items that aren’t going to work with your new place, so there’s not much point in relocating them in the first place. For these reasons, most people have a heap of stuff to dispose of when relocating, and it usually needs to be disposed of promptly. Our rubbish removal service means that you can leave your junk pile until the last minute so you can be sure you don’t have anything remaining, then you can just give us a call and we’ll collect and dispose of it right away. There are many items that can fit into a trailer or on the back of a ute. However, most Sydney residents don’t have the luxury of owning one, and it definitely wouldn’t be worth owning if it was just so that you could take stuff to the tip every blue moon! Even people with utes and trailers often use our rubbish removal service, as they’re often not big enough, being used or full of other items. And once you factor in the time, effort and costs of doing your own tip run, our rubbish removal service is usually better value. Is Your Skip Bin Full? Or Concerned About the High Cost of Skip Hire? If you’ve considered hiring a skip bin, you will have seen that they’re not cheap. Particularly once you add all the costs together (including the delivery fee, hire fee, collection fee, disposal fee and so on). If you’ve just got a pile of junk that needs removing, our service is most likely cheaper. Even when you’ve got a skip bin, you might find our rubbish removal service useful – often at building sites the skip bin may be full, but there isn’t going to be enough extra garbage to justify getting a second skip bin. Same-Day Rubbish Removal offer the perfect service for any size job – there’s no reason you need a skip! They’re also pretty ugly to have in your front yard for weeks, so give us a call next time you need building scraps or any sort of waste removed in Sydney. 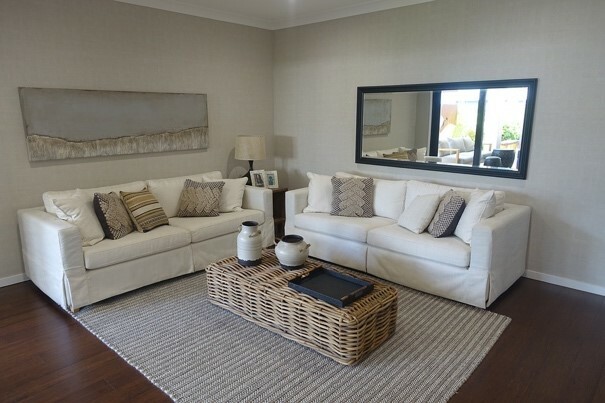 There are a number of reasons people will often have a big house clean up in spring, which is why we often call big clean ups a ‘Spring Clean’. The days start getting longer and warmer in spring, so there may be more time for cleaning and warmer weather for opening up the home for fresh air and drying freshly cleaned items. The house may have been mostly closed up over the winter to keep the warm in, which has let dust accumulate and maybe even mould grow. With the Christmas holidays just around the corner, you may have family or friends coming to stay and want the place looking great. Whatever your reason, you’re likely to come across unwanted items and junk that is just causing clutter, or maybe you’re also doing some rearranging of rooms and you no longer have the space for it. 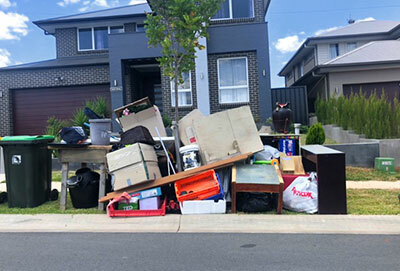 Help is just a phone call away, as our experienced rubbish removal team can come collect anything that you don’t want from your home in Sydney. Most of us have things in our home that no longer get used the way they once were, maybe you’ve got things sitting around that are never used. The saying “One man’s trash is another man’s treasure”, is very true, and if you can find someone who will treasure your unwanted belongings, it’s the perfect situation. Our rubbish removal team would prefer not to have to dispose of perfectly good items, and if you think your things may have some value, we recommend trying to sell them or give them away on a platform like Gumtree. If you’ve tried every other option and disposal is the only solution, you can trust our junk removal team to still dispose of your rubbish promptly and responsibly by having it recycled at a facility in Sydney. Most rubbish removal jobs that we complete are made up of old and/or broken items (yes, we sometimes are called to collect perfectly working, new items too). Over the years we’ve learnt what products and brands are of poor quality, due to the quantity we’ve collected. Some of the most common old/broken items we dispose of include white goods like fridges, freezers, washing machines and clothes dryers. General furniture including lounges, sofas, tables, chairs, beds and mattresses. Other large general items that seem to get old and unwanted include garage shelving, trampolines, swing sets, outdoor furniture, and more. If you’ve got things that are cluttering up your Sydney home or they’ve been replaced and are no longer needed, our rubbish removal team can take them away for recycling. Maybe the ABC’s show ‘War on Waste’ inspired you to minimise the rubbish that you produce and dispose of the things you do have in an environmentally friendly/responsible way. The show certainly inspired our rubbish removal team to live less wastefully in our personal lives, but as a business we’ve been aiming to reduce landfill and irresponsible waste disposal for years. You can trust our team to dispose of your waste the right way, as we make use of the many recycling centres scattered across Sydney. 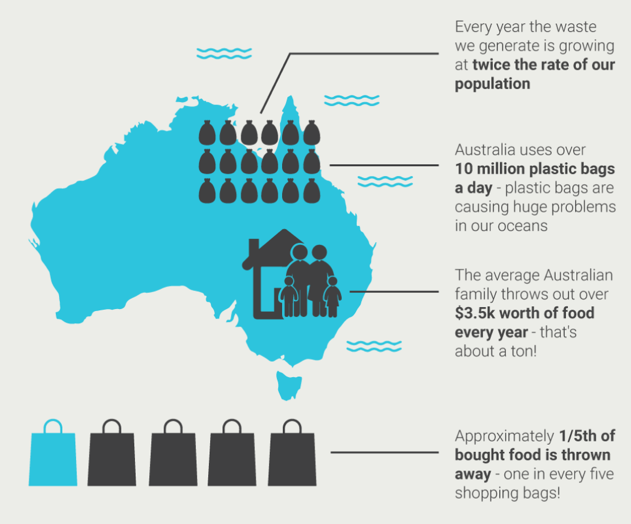 Check out our page of alarming stats we learnt from the War On Waste and share it with your friends so that we can all work together for more responsible waste removal! It’s never nice to have to clean up the home of a loved one who has passed away, and unfortunately, it’s something most people have to do sometime during their life. Particularly if they were an older person, there tends to be a fair bit of stuff that the family don’t want to hold on to. It may be that they don’t need the things, or it would just clutter up their own house, whatever the case, it can be a difficult situation to know what to do. No one wants to be throwing away their loved one’s things at the tip, which is why utilising a professional and discreet deceased estate rubbish removal service like ours can really help. Our team are always thoughtful and will be sure to collect items and take them away in a respectful way. So many of our past customers who have been in this situation have expressed to us the relief our rubbish removal service brings. Building or renovating your home is exciting. It’s important to fully complete the job by ensuring all building scraps and rubbish are disposed of properly so that you can fully enjoy your new space. Some common types of building waste we remove include old kitchen and bathroom waste, roof tiles, gutters, wood, metal and plaster board, carpet, blinds, shutters and internal fittings, glass windows and window frames, old timber, bricks, and any other building scraps you want removed. 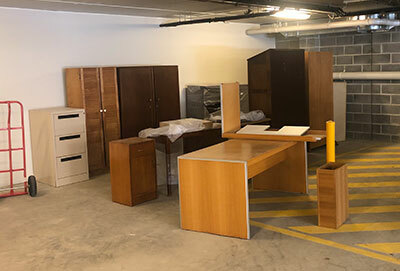 The easiest and most cost-effective way of cleaning up from a build or renovation in Sydney is to just make a pile of junk far enough away so that it doesn’t get in the way, and is easily accessible for our junk removal team. When you’re ready, prompt rubbish removal is just a phone call away! It’s amazing how much trash can be stored in a garage; our rubbish removal team have taken truckloads out of garages before. Many garages have shelves that line the sides and people seem to be able to stack them full. Items are usually stored in a way so that the more accessible the item is, the more likely it will be used. If you need more space in your garage, the best place to look is on the top shelves or any other hard to reach places, as there are likely items there that you’ll never use again and are safe to recycle. If you’ve run out of storage space at your Sydney home or maybe can’t even fit your car in your garage, it’s time to give our friendly rubbish removal team a call. While it doesn’t sound like a place most people would store junk, you’d be surprised to hear how many people have excess/unnecessary items collecting dust in their living spaces. It’s one of the challenges of having larger houses, people feel the need to fill spaces with things. It may start out as just a table in the corner, but if it doesn’t get used as a normal table, it will start getting things piled on top of it, underneath and all around it. For many people it is the entry way, usually a bit of a passage that has no purpose other than walking through, boxes may be placed here, which then get more boxes or other items stacked upon them! Unless you really need the items or like having your home look cluttered, it’s a good idea to clean up – you’ll be much happier for it. Simply make a pile of items and our friendly and experienced Sydney based rubbish removal team can come and take them away when you call. There’s nothing like a big shed for storing junk! Some people seem to have everything in their shed, from every type of tool, every type of material, and even every type of waste! Unless special attention is given in keeping the shed clean and tidy, it doesn’t take long before it can become a maze of stuff. 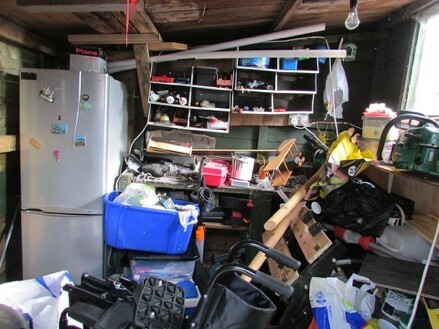 The main shed user usually knows where most things are, but it can be nightmare for anyone else to find what they want! 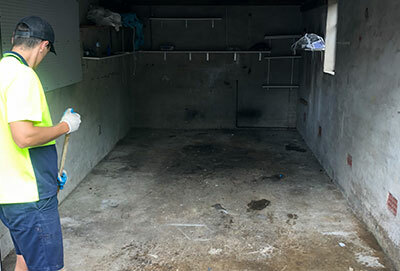 If it has come time for you to clean up your shed of items that are just collecting dust, you’ll find our rubbish removal service super helpful. You don’t even need to move items yourself, if you’ve looked around the shed and know what things need to go, no need to break your back — all you need to do is point, and our experienced Sydney waste removal team will do the heavy lifting for you. If the inside of your home, garage, shed or other sheltered places have all run out of room to store junk you may have resorted to putting it in a corner of your front or back yard. If this has happened at your place, you should really do something about it (such as calling us for fast rubbish removal)! Most people in this situation live busy lives and don’t have the time to be sorting out garbage. Fortunately, Same-Day Rubbish Removal can help you in getting your Sydney home looking great (rubbish free), without costing a fortune, and without using up your precious time. Junk in your front or back yard is perfect for our junk removal team to come and collect as we can easily access it. If you mark what needs to be taken away, you don’t even need to be there! 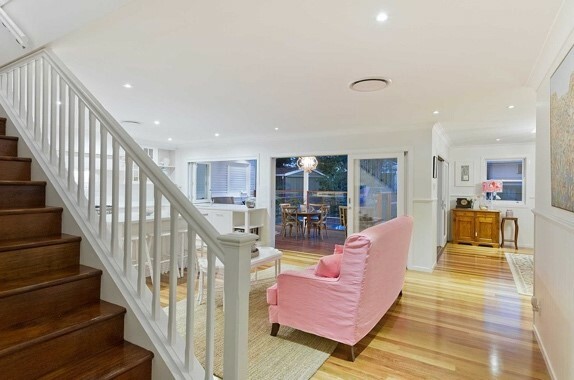 If you’re ready to clean up, contact our team today on 0402 737 046. When items have moved to the front nature strip of your Sydney home, it just about always means they’re completely unwanted and you’re hoping that someone else will come and take them away! Some people put items here in hope that neighbours or people passing by will take them. There may be a council pickup coming soon and you’ve put things there in preparation. It doesn’t make sense why some people put things out the front of their house and have it sit there for weeks, as unfortunately there is no such thing as a rubbish removal fairy. It's actually illegal to dump your old items on the street - you can see the rules at the City of Sydney website. If you’ve made the mistake of putting items out and it could be another year before they’re collected, it would be worthwhile for you to give us a call for cheap rubbish removal. We’ll have your nature strip looking clean and tidy again in no time. The term rubbish can include a whole range of things, as it can include anything that a person no longer wants. It’s usually easier for us to just say that we can remove almost any unwanted item, as we’ve never been called to a rubbish removal job that we haven’t been able to complete. However, here’s a brief list of some of the items that we frequently collect from Sydney homes and businesses. Desks, office chairs, shelving, photocopiers, desktop computers, monitors, peripherals, printers, general office waste, manufacturing leftovers, you name it! The thought of prompt, professional and affordable hand-loaded rubbish removal is amazing, but only useful if we can service your area! Fortunately, our rubbish removal service covers most Sydney areas including the Eastern Suburbs like Bondi and Rose Bay, Inner West suburbs, Parramatta and beyond. 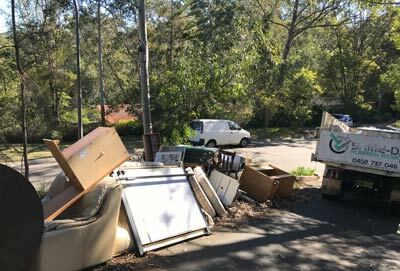 We also provide prompt rubbish removal to Upper and Lower North Shore areas including Mosman, Northern Beaches, Hills District, down to the Sutherland Shire and more. Last but not least, we offer prompt waste pickup and disposal to the Sydney CBD and city areas which is very convenient, particularly when you don’t have room for an unsightly skip bin out the front of your home or business. 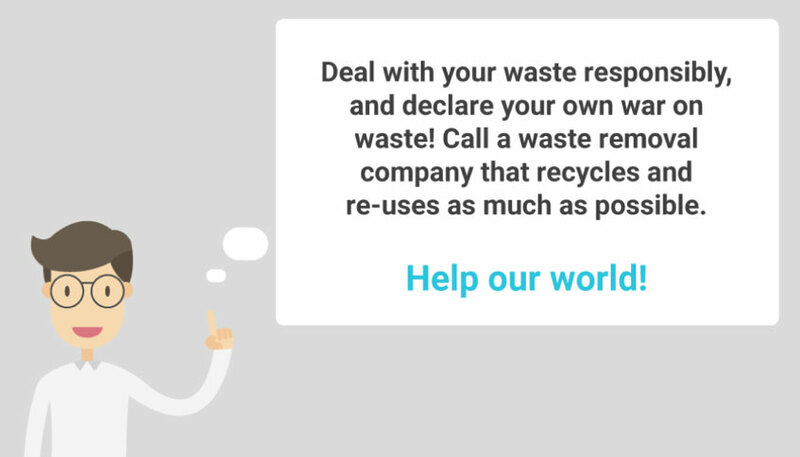 Regardless of where in Sydney you’re located, or what type of waste or recycling you need disposed of, your best course of action is to give our experienced team a call. We’ll be happy to assist and confirm the soonest available time-slot that we can provide rubbish removal in your area. Whatever your reason was for looking up our Sydney rubbish removal service, our experienced team can help you out. All you have to do is give our junk removal team a call and ask for a quote which we will be more than happy to provide at no cost. If you decide that you’d like to go ahead with it, we’ll arrange a time that suits you and will get the job done promptly. If you decide that you don’t want to proceed with our rubbish removal service, that is ok too, and we will not pressure you! There’s absolutely no harm in enquiring, but you could miss out on a fantastic service if you don’t. Give our friendly team a call now on 0402 737 046, we look forward to hearing from you!